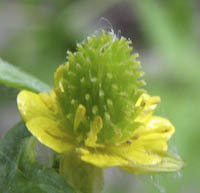 Buttercups and Crowfoots are grouped together here because the common names of these are often interchanged. 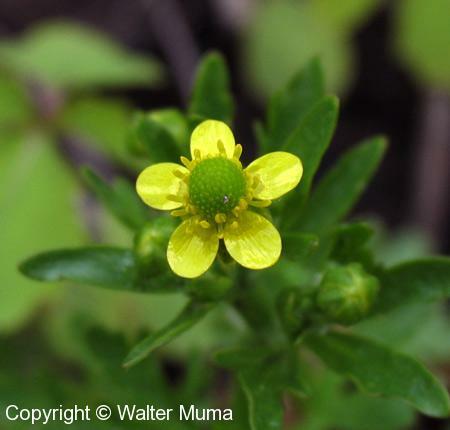 For example, Small-flowered Crowfoot is often referred to as Kidney-leaved Buttercup. 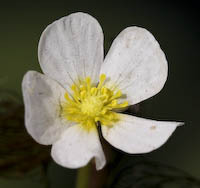 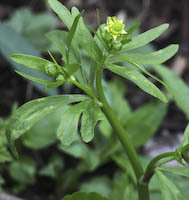 Crowfoots and Buttercups have yellow flowers, except White Water Buttercup (Ranunculus aquatilis). 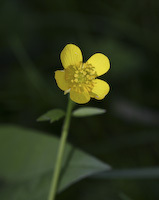 However, Buttercups and Crowfoots are pretty obviously distinct from each other. 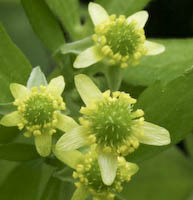 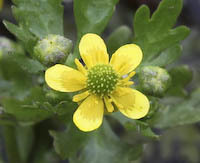 Buttercups have larger and showier flowers, whereas almost all Crowfoots have much smaller flowers with stubby petals.